This charming one-bedroom apartment in Barcelona, located just steps from the famous La Sagrada Familia, is a wonderful choice for those looking to make the most of their time in the Catalan capital. Able to accommodate up to 2 people, this holiday apartment in Barcelona is ideal for families or friends visiting Gaudí´s city. The area is not only home to one of Gaudí´s most revered works, but also offers easy access to historic downtown, the beaches and all of the sights in and around Barcelona. The apartment enjoys a simplistic, yet welcoming design throughout and is sure to make visitors feel right at home. The living room of this Barcelona apartment has a comfy sofa bed a TV and WiFi, perfect for kicking back after a day of sightseeing. Be sure to try your hand at some Mediterranean inspired dishes in the fully equipped kitchen, which can be enjoyed in the dining area. 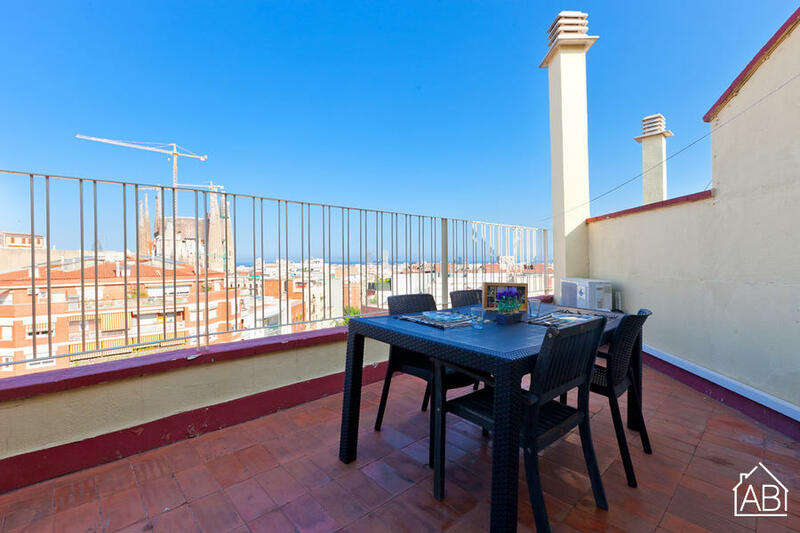 Perfect for those in search of a warm and welcoming place to call home, this apartment in Barcelona is a great choice, any time of the year!